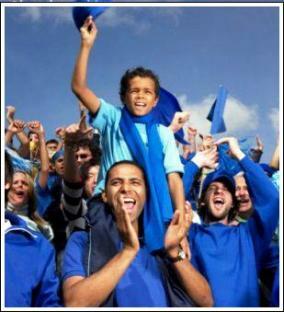 Here's how to be an enthusiastic supporter for your child's soccer team without treading on anyone's toes! It’s great that sports parents come and watch, whether they be soccer parents, athletics parents or any of the other sports. With that in mind here are some valuable, solid tips . . . . Supporters should and do indeed make themselves heard. It’s great, and part of the whole spirit of competitive sport. Kids need to learn that in life they're going to have to mix with all sorts, and a bit of bad-mouthing and yahooing along with passion and excitement is all part of growing up. The sideline antics often come under scrutiny where over-the-top aggressiveness from some soccer parents gets too much, and can lead to embarrassed kids dropping out of sport. Hysterical parents who screech constantly from the sideline are no fun for anyone. It’s abuse; it’s negative and can affect the performance of players, particularly the youngest ones. It’s usually only a vocal minority with a strong competitive spirit themselves which rises up in them when they see their child play. 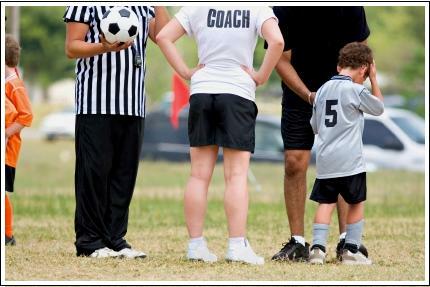 Many overzealous parents probably do not realise how their behaviour affects their children’s long-term participation in soccer or other sports. Parents invest a lot in soccer or other sports these days. They make big sacrifices to get their kids there, and often feel the need to have some influence. But they have to be aware that kids running the gauntlet of this sideline tirade of mostly negative comments right in front of their team-mates lowers their self-esteem and thus the likelihood of them dropping out of sport. Even worse, kids hate a parent abusing the coach — a kid just wilts when that happens. Some supporters need to take a breath and realise they are not playing the game, the child is. And for most kids the game is played for fun, at least up till the age of about 14. Things start to get more competitive after that and winning and losing take on more meaning. Are you are a team manager, coach or referee, and are having a spot of bother with one or more overly aggressive soccer parents or supporters? Then sometimes for the sake of safety and sanity it's worth calling a meeting and setting out a code of conduct that everyone agrees to... and signs if necessary. Copyright © 2010-2018. All rights reserved. Soccer Playing Guide.